Mr. Star Wars just completed a science cell project– at home. 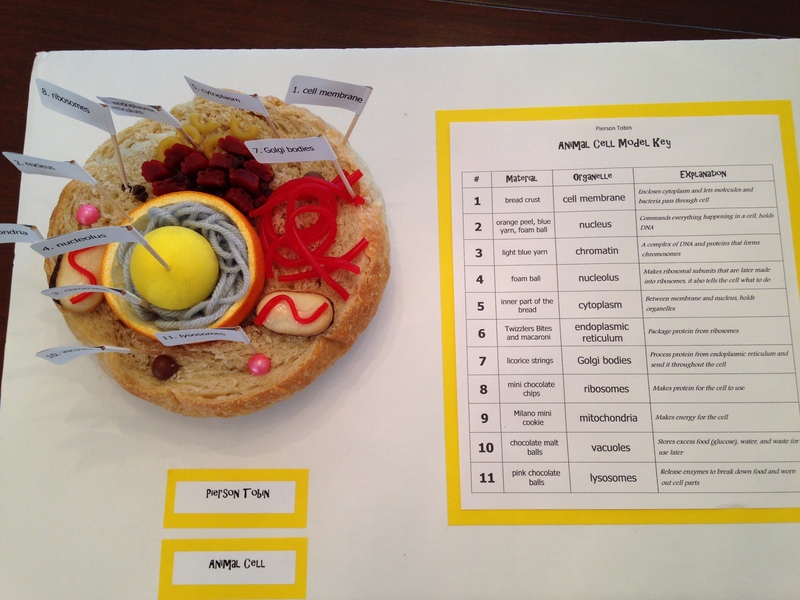 While he could have completed the entire project on his own, this is one of those projects that a parent is probably going to have to offer help in some way. In our case, I drove to the grocery store to buy supplies and helped with formatting his written explanations on the computer. How much help is too much? 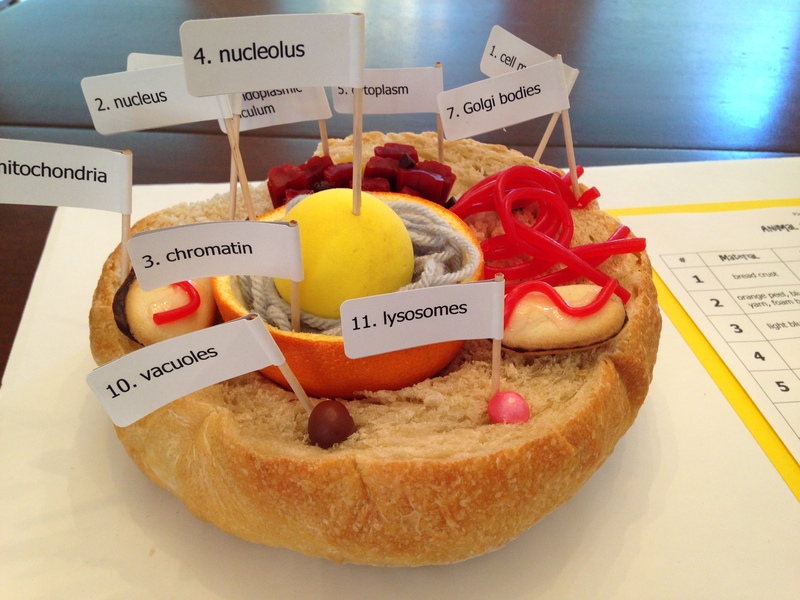 As a teacher, if I send a multi-day 3-D project home like this, I know parents will be involved. The key is to provide only enough support that you do not “compromise the integrity” of the student project. Read through the project assignment sheet and directions with your child. Brainstorm a list of supplies and tentative “plan” for completing the project with your child (what to complete each day, so you finish by the deadline). This is a conversation that can happen at the dinner table or in the car on the way home from school. Source supplies (make a trip to the grocery store, Michael’s crafts, hardware store, your pantry/junk closet at home). 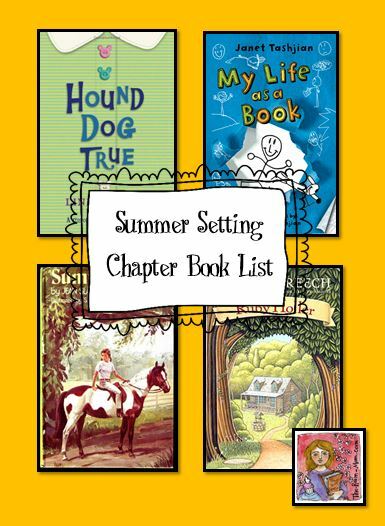 Reread the directions with your student when the project is finished to make sure the student has completed all of the requirements. Build anything while a child stands to the side and watches. If you have class projects come home more than twice a year, I would recommend investing in some common project supplies and saving a few items that can be hard to get when you need it at the last minute. I love having these items on hand at the 11th hour! At various times during the year, my students write letters using unlined school stationery. Sometimes we type the letters and run the stationery through the printer for a totally professional product, but sometimes the letters need to be handwritten for a more personal touch. When students try to handwrite lines of text on an unlined piece of paper, the words start to move down the page (or up– or become a random zig zag pattern). By the third line of text, there is no attempt at straight lines any more, and the students are just trying to get all words onto the page before they run out of space. I have a simple solution. In order to keep the words straight on the page, I use a trick I learned from the woman who helped me with my wedding invitations. 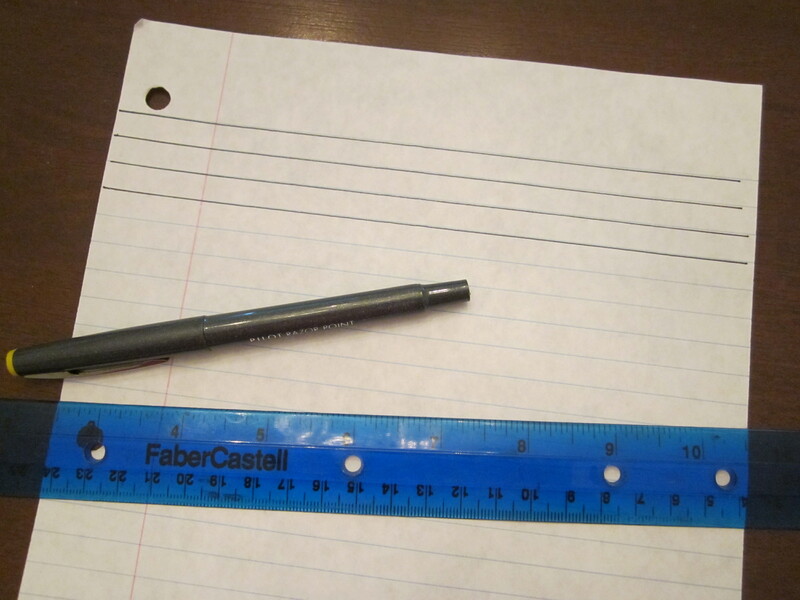 Trace all of the lines on one piece of wide ruled notebook paper with a semi-heavy black marker. Photocopy as many pages as you need. 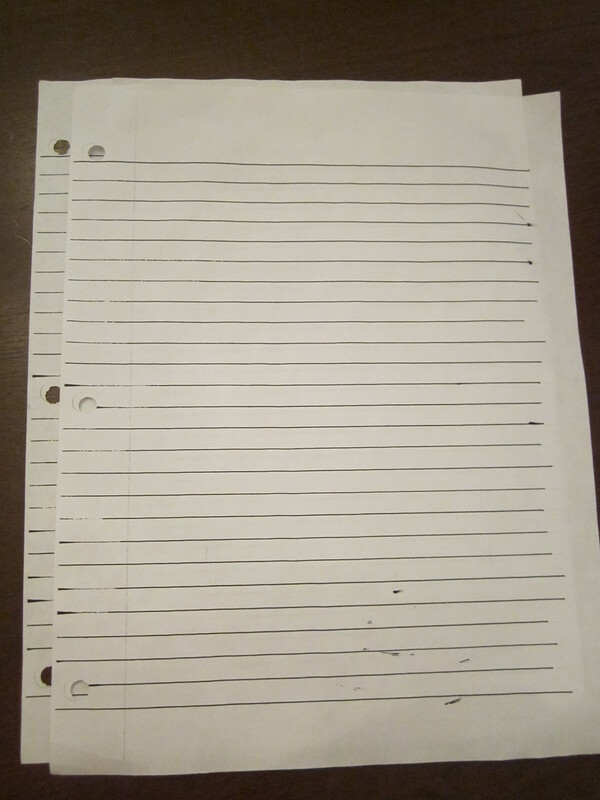 When students need to write straight lines on blank paper, place the photocopied lined paper underneath the unlined paper. 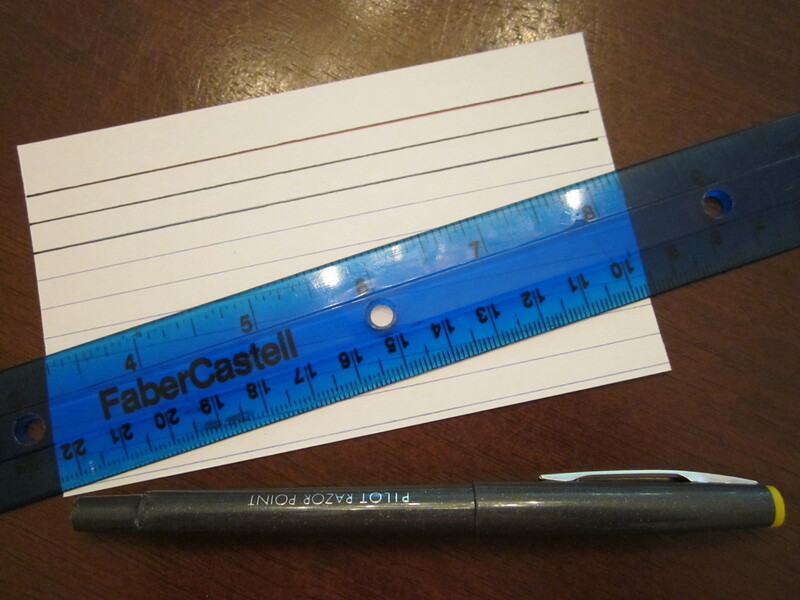 As you press down to write, the lines are visible, so you have guidelines to keep your writing straight. My students have multiple opportunities to write on unlined paper throughout the year, so I keep the photocopied line pages and reuse them. 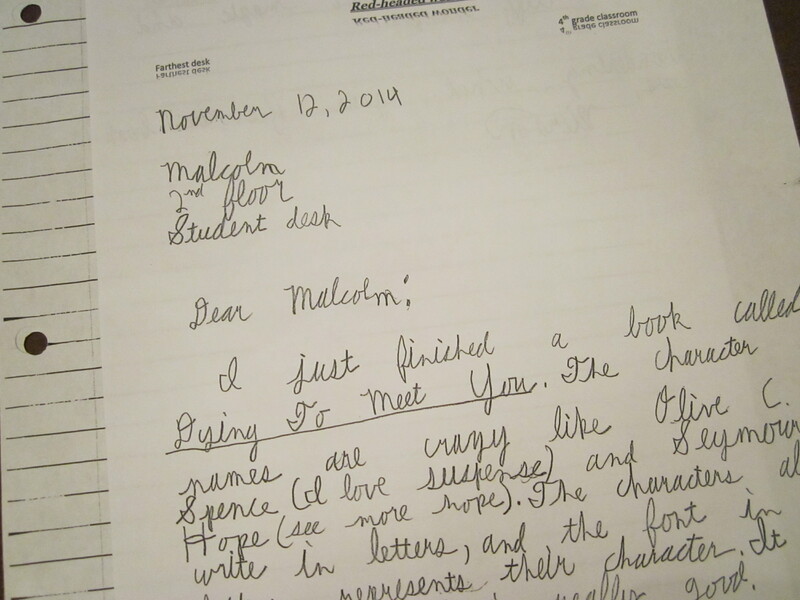 We have an ongoing Author Letter Project, we write thank you notes to chaperones and hosts after field trips, and we have a project where students create their own letterhead and exchange personal letters with other classes in the school. 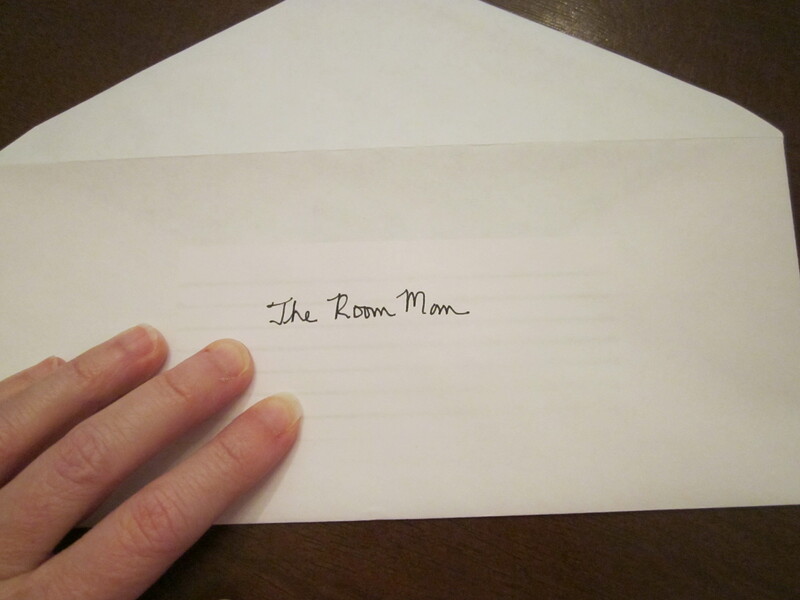 If addressing envelopes, cover the lines on a notecard with black pen and slide the notecard inside the envelope to create guidelines for writing an address neatly and evenly. Sometimes, the envelope paper is thin enough that you do not need to make the notecard lines darker in order to see them through the front of the envelope. Hopefully, you can faintly see the notecard lines in the center of the envelope in the picture below. This is one of my favorite teacher hacks that really improve the look of a finished writing assignment without creating too much work for me. And, this tip is not just for students. 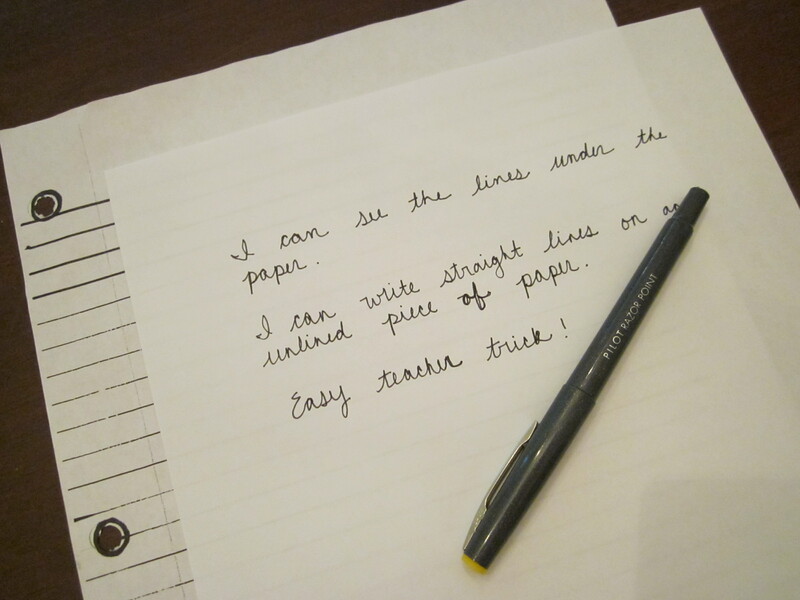 It is a great trick for anyone needing to write on unlined paper. Along with every other 4th grade student, I want to avoid “write the spelling words 3x each” spelling homework. I am actually not against that kind of homework (especially if the students are writing the spelling words in cursive) since I think it builds a motor memory, but we all get bored with it. 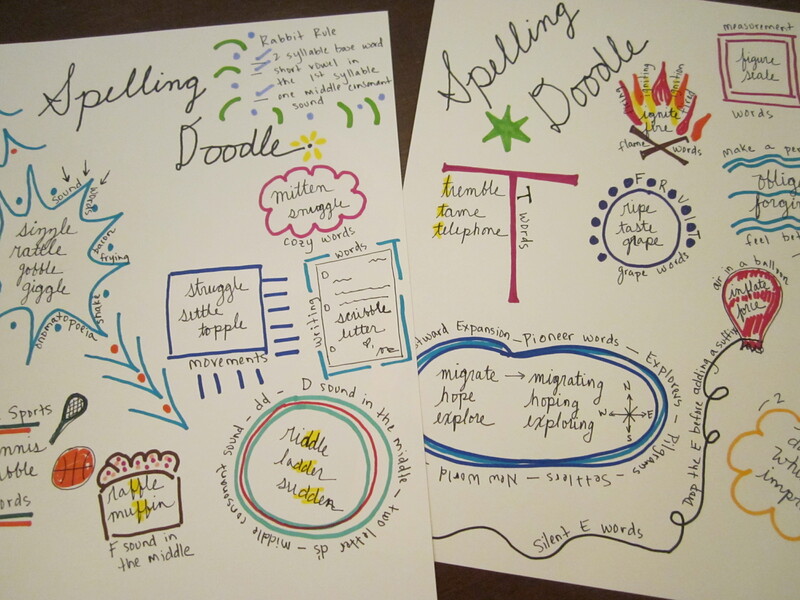 One new word work activity I am using is a Spelling Doodle. 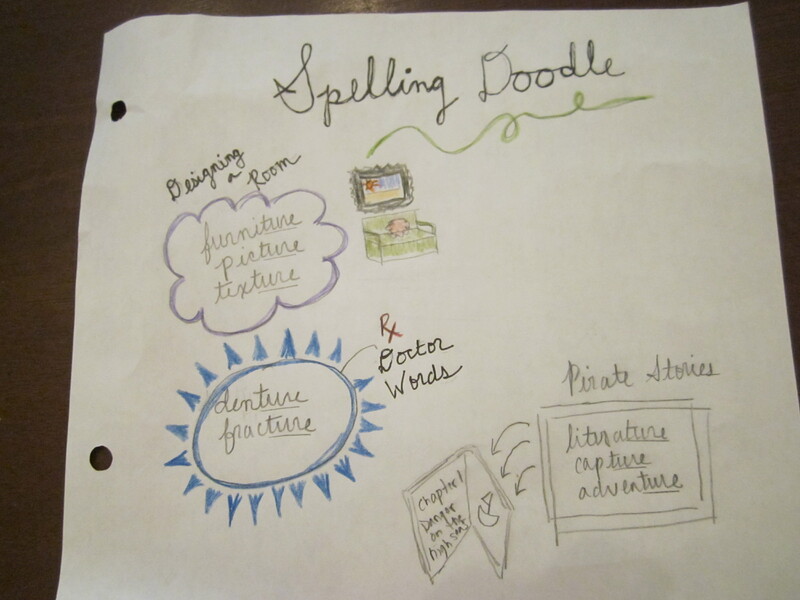 Students use every word on the weekly spelling list to design a word doodle. The challenge is to think of various ways to group the spelling words. 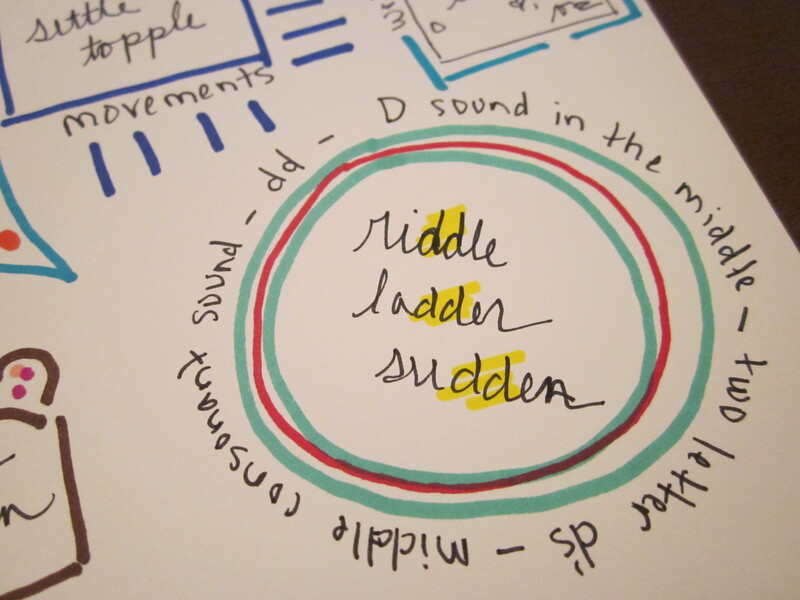 Students use a combination of phonics knowledge and word meanings to create word categories. Not only do students practice writing spelling words correctly, they are also activating their knowledge about the ways letters combine to create words, word usage, and definitions of the words. 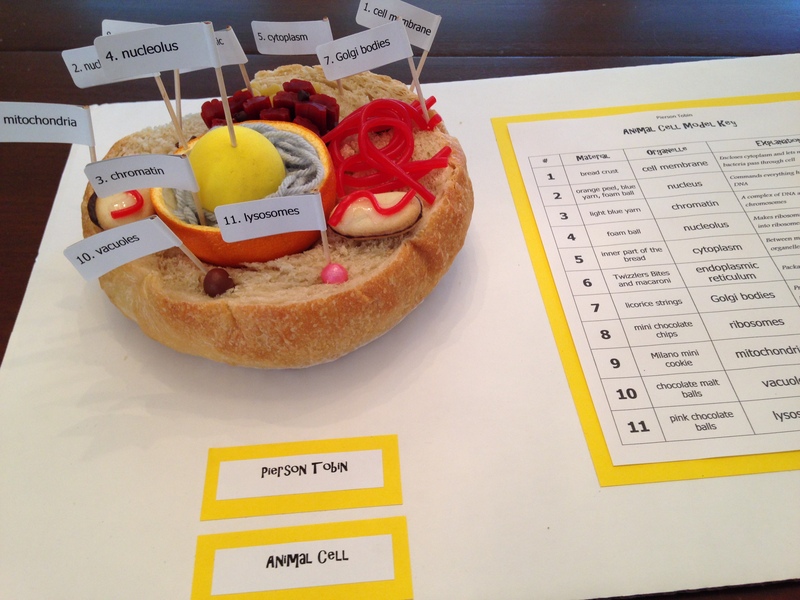 Give the student a piece of white copy paper and some colored pencils or fun pens. Using all of the spelling words in a list, students create groups of words and label each group with a title. 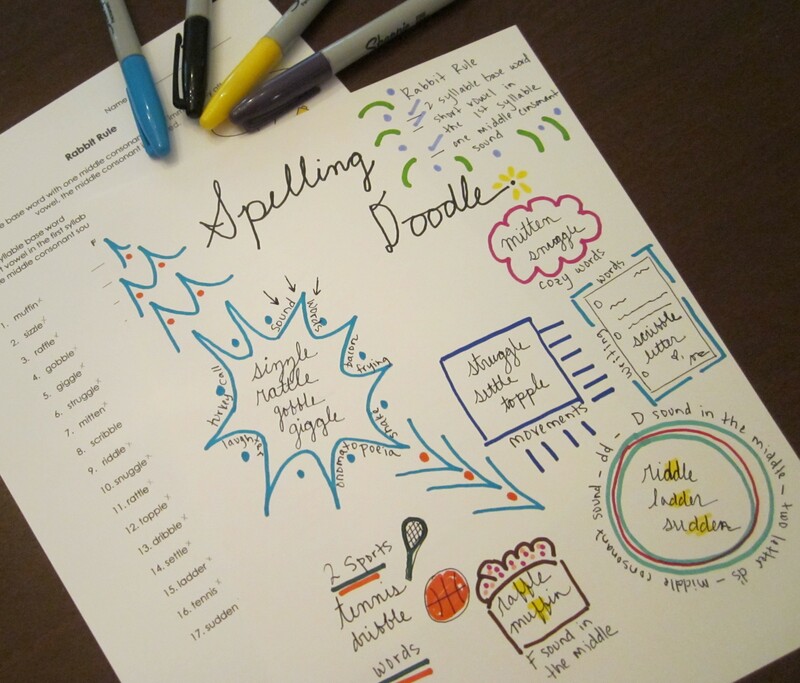 Kids write the words and then add doodles and illustrations to the page to make it colorful and appealing. Talk about the words by sharing the group types. We came up with all kinds of ways to group last week’s words. 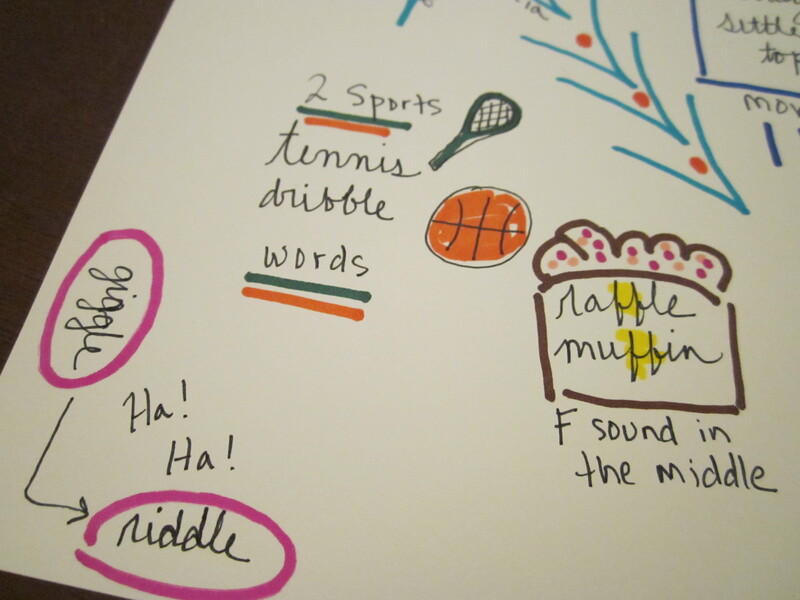 What are good ideas for grouping spelling words? I told my students they should try to have 2-4 words per grouping, but if they ran out of options at the end, they could create a group that contained only one word as long as they provided a title. We used colored pencils at school, but I got out the Sharpies when I worked on my samples at home. Definitely add color. 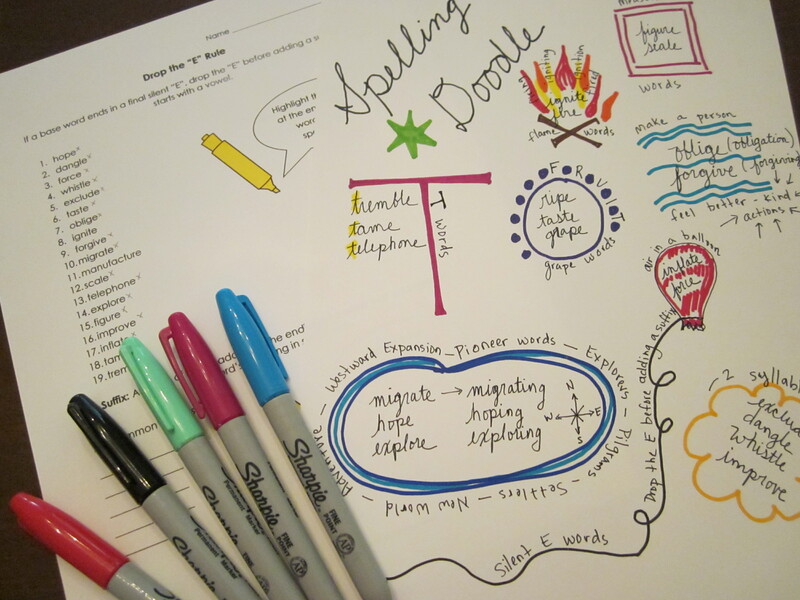 If you need an alternative to calling out words when studying for a weekly spelling test, give this spelling activity a try. It works in the classroom and at home. To purchase spelling products based on the most common English spelling rules and patterns, visit my teacher store by CLICKING HERE.